Students wanting to attend Plavan for the 2019/2020 School Year can start enrolling online on March 1, 2019. For those that live in Plavan's attendance area, the parent/guardian just needs to follow the online registration instructions. For those that live outside Plavan's attendance area, but within Fountain Valley School District boundaries, an Intra-District Transfer will need to be obtained from the FVSD School that is your home school starting February 4, 2019. For those students that reside outside FVSD Boundaries, an Inter-District Transfer will need to be obtained starting March 1st from your Home School District. 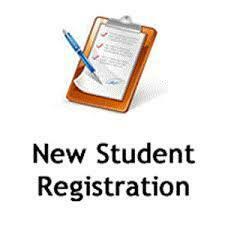 Go to www.fvsd.us, parent tab, student registration, and click on the FVSD Boundaries link in the first paragraph. Final registration depends on whether the transfer is approved. 1) Aeries SIS Online system approximately 4 page confirmation of pre-registration from Step 1, Part A online. 2) Approximately 10 pages of pre-filled forms from Step 1, Part B online. 7) Intra-District Transfer document if the student does not reside within Plavan's attendance boundaries, but resides in another school within FVSD's boundaries OR an Inter-District Transfer document if the student resides in a District outside of FVSD's boundaries.